Health screening is now a more common sight in many public spaces, as Malaysians in general have become more conscious of their health. To provide easy access to health check-ups, students and academicians from the Faculty of Health and Life Sciences at INTI International University (INTI) recently embarked on an outreach programme in Melaka, and the quaint towns of Ayer Hitam, Yong Peng, Batu Pahat and Kangkar Bahru in the state of Johor, to provide local communities access to free health check-ups and consultations based on Traditional Chinese Medicine (TCM) and Physiotherapy. describing her ailment in Kangkar Bahru, Johor. The visits were spread out over a period of five months and the team collaborated with local community clubs such as the Lions Club to ensure the effectiveness of the outreach. 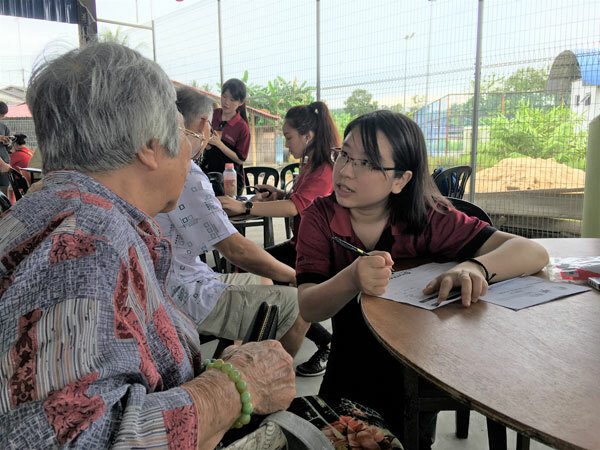 Each visit included about 20 TCM students and five Physiotherapy students, who were accompanied by at least five TCM academicians and two Physiotherapy academicians. During these visits, the team provided free TCM health consultations, acupuncture treatment, physiotherapy health screenings and also dispensed approved Chinese traditional medications. Common ailments that arose and were treated during the programmes were geriatric-related diseases and gynaecological concerns, with most local residents participating in the outreach being between the ages of 35 to 60 years old. The students and academicians have also served communities through other outreach programmes, including a trip to Bangalore, India, where Physiotherapy students engaged in volunteer social work. INTI’s TCM school also co-organised a symposium in Kuala Lumpur together with the Malaysian Chinese Medical Association (MCMA). The objective of the symposium, titled the “Global Classics Class”, was to improve the standards of TCM and to promote the use of “Shang Han Za Bing Lun”, one of the oldest clinical textbooks in the world, and one of the four canon works that TCM students must study. 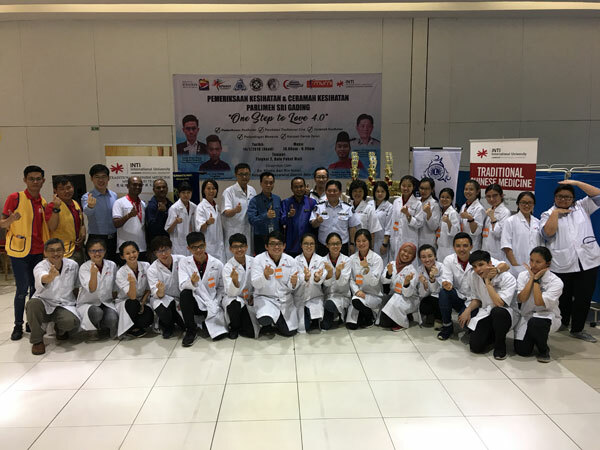 This was the first ever event held in Malaysia to establish TCM as a professional alternative healthcare option and was open to all TCM practitioners and students in Malaysia.